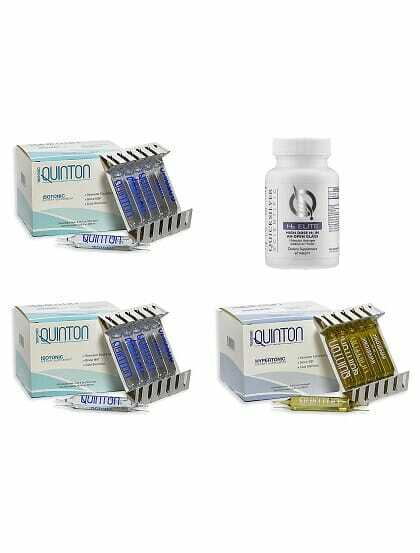 The Overall Health Combo Package contains 1 bottle of Quicksilver Scientific H2 Elite, 1 box of Quinton Hypertonic, and 2 boxes of Quinton Isotonic. Maintains antioxidant levels. Supports immune system. Increases energy. Helps with sleep and relaxation. 1 month supply. Purchasing this product today earns you 225 DR Reward Points! H2 Elite Creates hydrogen infused magnesium water which converts toxic oxygen radicals to water. Hydrogen infused water supports the body’s antioxidant levels, including glutathione. Electrolyte minerals in Original Quinton formulas may help increase energy, endurance, and recovery. Helps with relaxation and sleep. Molecular Hydrogen instantaneously converts toxic oxygen radicals to water. It maintains stable levels of our body’s antioxidants (e.g. glutathione). 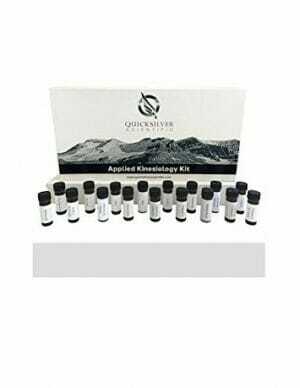 It promotes cell signaling, cell metabolism, & gene expression which promotes increased health. 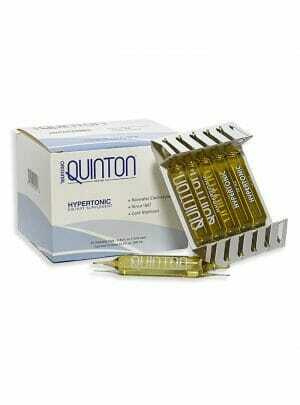 Quinton Hypertonic Marine Plasma represents the original blueprint of life. It has three times the mineral concentration of your blood and is ideal for energizing, mental focus, sports performance, challenged immune systems, and rapid re-mineralization. 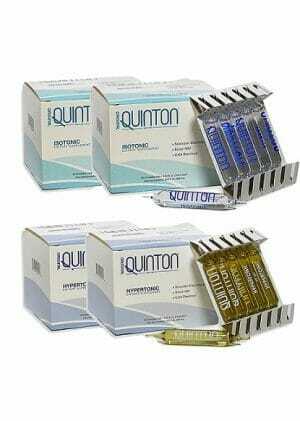 Quinton Isotonic is pure marine plasma diluted to match the concentration of your blood and is the most gentle. Bioterrain Restore is ideal if for a sensitive system, restoration, deeper sleep, emotional and physical balance, and relaxation.